The Walking Dead is a very buggy game, and despite the critical acclaim (and non-stop Game of the Year awards), some fans who bought it haven't even had the chance to play the whole thing. 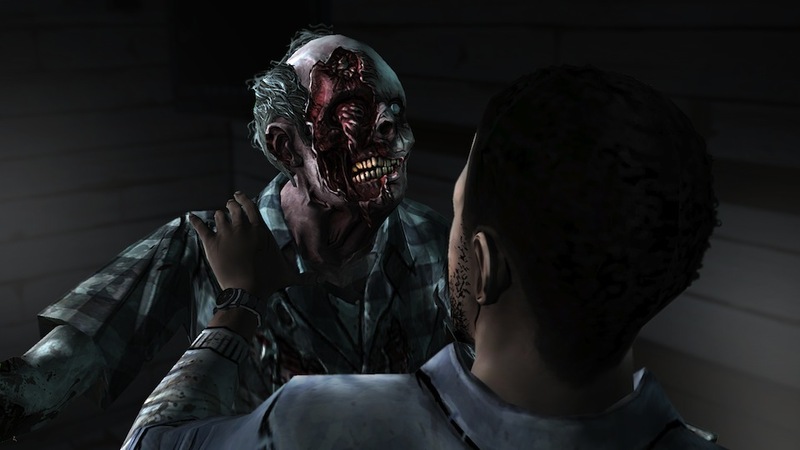 A number of Walking Dead PC and Mac players are flocking to the forums of developer Telltale Games to complain about the frequent save-corrupting bugs and errors that are preventing them from finishing the game. Some have even filed complaints with the Better Business Bureau to ask for refunds and try to get Telltale to respond to their complaints. In an email to Kotaku, one reader said Telltale's customer support has not been very responsive. "The reason I am contacting you is that perhaps it is time to hold developers to a higher standard of contact and communication," the reader said. "If no one cares and just buys the same broken product over and over and over again, we should only blame ourselves when the market is flooded with bugged games and no support. I am tired of games with no support or no real help from the developer. It is their product and they should either fix the problem or give the money back to the individual who trusted them to provide something of quality." I reached out to Telltale this morning for comment, but I haven't heard back. I'll update if they respond. I must of got the Mortein version, bug free. Lewie called, he said your fly is down. But seriously, have not had a single bug since I started playing and that is on a fairly average laptop. Me too, I've completed several playthoughs and haven't come up against a single problem. I bought it when all the episodes were available. Maybe the problems occurred early when people installed the next episode when they were playing the previous episode. yep, the game for me lagged really bad at the start of the game then crashed not long later, turns out that someone dived in and discovered that it was due to an infinite loop trying to call something that doesn't exist, and it and the lag was caused by the broken shading. So I turned off the shading lower the texture quality to low to make sure (wasn't that bad only blurry textures that appear to be placed on not finished uv mapped objects that draw your attention in some important moments), but after that not a single bug for the next 4 episodes and smooth sailing. No bugs for me. All my settings are on highest possible and everything is great. Up to episode 4 now, so fingers crossed. Not one single bug on my end. That's not to say it doesn't happen but most of the time, when bugs do happen, it's an unpredictable result due to peoples hardware configurations and not necessarily the code itself. I seriously doubt TWD is a shoddily put together game? I'm part way through my first play through on PS3 (just finished episode 3) and no real issues so far ie no crashes, corrupted saves, etc. Worst problem I've had is sometimes I get a slight "stutter" when it changes camera angles. Played through the first episode a few weeks before the final release. Recently when I went back to play the second episode, none of my choices from the first had carried over. It's a little thing, but the idea of having to sit through 1+ hr of the same gameplay, making the same choices, just so I can get up to where I was, has put me right off the game. Don't even want to think about what it would have been like if I was a few episodes further. Played right through on pc... did not notice any bugs. I had my save delete itself 4 times, had to start over twice, once was in the middle of episode 3, and had to play episode 1 and 2 over to get back to where I was. After that I just exited at every checkpoint and backed up my save manually. When it lost it again after that, I only had to go back a checkpoint. Not a great experience. I'm playing it on PS3, and the further I get (I'm up to chapter 4) the worse the lag is getting. It's almost at the point where I can't continue playing the game. Which is a shame because so far, it really has been damn good. If this is the case I may just hold off buying a copy until this gets some updates, it's a pity because this game looks epic. Had to restart 8 times. Yes, 8. After my save got wiped again I gave up and got a refund. Shame because I enjoyed what I got to play, hopefully they do something about it. In my experience it seems to happen more when you have multiple saves going. I didn't have a single problem til episode 3 when my girlfriend began her game and basically everytime we loaded up a game all our choices were wrong and sometimes we couldn't even play the most recent episode. Not a single bug here. No lag, so save problems,no choice problems, no crashes, everything was absolutely perfect. When I see people complaining I cannot relate to them whatsoever. My personal GOTY, btw. Loved this game to bits. And my PC isn't even good lol. Mine initially wouldn't work, just kept on crashing before the menu. I shelved the game for a while. Few months later and a reformat of my pc once inbetween, it suddenly started working.